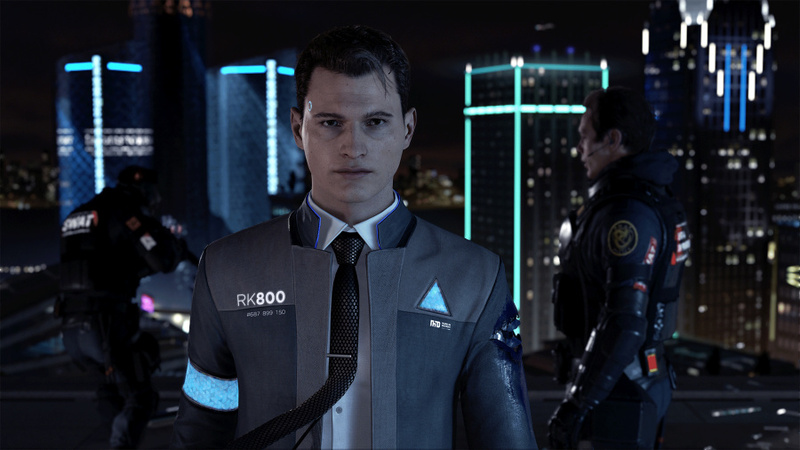 You may have read our hands on impressions of Detroit: Become Human last week. The PlayStation 4 exclusive managed to win us over with its impressive visuals and suspenseful narrative, but we needed more. Thankfully, we got to speak to the producer of Sony XDev Europe, Jason Stewart, about the inspiration behind Detroit’s design, its seemingly complex choice of narrative, and how this project compares to Quantic's predecessors. With the popularity of player agency on the rise, Quantic has been on the frontline of this shifting narrative, originating with its first project Fahrenheit, released back in 2005. 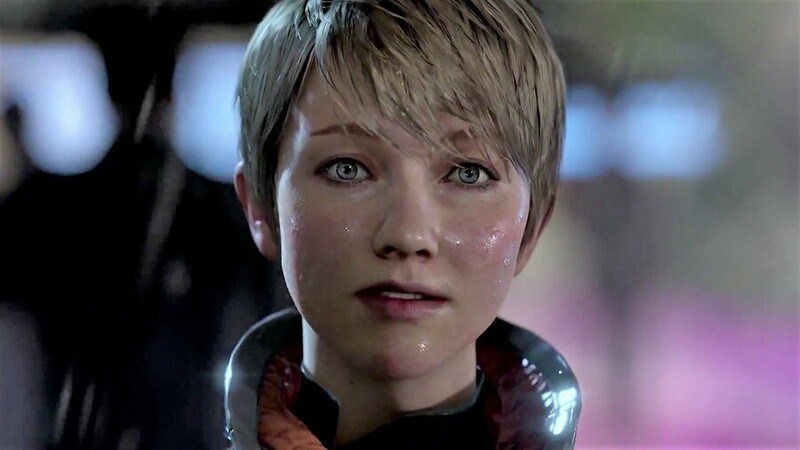 Whether you’ve played the studio's previous projects such as Beyond: Two Souls and Heavy Rain, both of which followed the same influence, Stewart assures that Detroit will in fact be the developer's most ambitious project yet. You may be familiar with Quantic’s 'Kara' tech demo that was originally released back In 2012, devised to experiment with their latest motion capture technology. Interestingly, according to Stewart, this demo wasn’t actually intended to be the start of Detroit's development. “It was actually just a tech demo at the time,” he explains. Whether this was just an experiment on Quantic’s behalf or not, the demo undoubtedly created the foundations for future projects. Judging by the audience’s eager response, you can understand how Detroit eventually came to be. Regardless of your relationship with Quantic games, it’s hard to ignore the fact that Detroit looks gorgeous. To Quantic’s credit, that's certainly something to be admired. With an interesting choice in art direction, Stewart seems keen to agree with what’s being described as a both a culmination of ‘neo-noir’ and ‘thriller’ elements. “Absolutely”, he said. “That’s exactly what the team are going for, and how David [Cage] envisaged it”. Despite its lengthy development process — spanning across five years — we’d expect to be chomping at the bit for a release date by now, which, to be perfectly honest, we are. Though we tried to urge Stewart to give us some more details, he respectively remained tight-lipped responding: “No news on the release but just yet... We’ll be updating you on this shortly.” Again, he assures us that “the scale from Quantic and David is like nothing we’ve done before”. 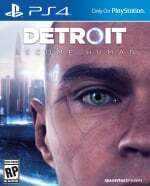 What are your thoughts on Detroit: Become Human? Are you looking forward to its release date announcement? Try to remain human in the comments section below. Exciting stuff. This game definitely seems uber-ambitious. I love what I've seen of it so far. I love the fact that a producer from the studio known for Heavy Rain is called Jason. @rjejr It's definitely a PS4 game; I've played it on a PS4. This looks interesting, I hope the story is good like indigo or heavy rain. I'm really interested in this one. I love any game where player's choices actually matter. I love them too much, maybe. @rjejr They're still making it? Seriously though,everything by them is amazing.Super hyped for this one. @Gmork___ Go to a mall near you and shout it, see if anyone gets the reference. Can’t wait! I’ve been super excited since it was announced. Also am pumped for this one. Day 1 for me. I really liked Beyond and Heavy Rain, so Detroit is day one for me. They film horror movies in detroit because they literally don't have to do any set design, hope they explain how the city really turned around. @starhops "Why announce a game that is coming on a new console before that console is even exisits?" Well Sucker Punch hasn't technically announced it's new game yet, just rumoured that they are working on an open world RPG, so it could be a PS5 game which would be why they haven't announced it yet. Switch launch title Zelda Breath of the Wild was shown at E3 June 2014 more than 2 years before the Switch was officially announced in Oct 2016. And we all know The Last Guardian was due to release on PS3 long before PS4 was announced. I'm not even going to bother posting a link for that one. At some point games get too complicated for current hardware, or the current hardware gets too old, so games get moved to new hardware. Yooka-Laylee was supposed to be on Wii U, canceled for Switch. At the rate Playtonic is going it wont' release until switch 2. Rainbow Skies - a sequel to Rainbow Moon announced way back in 2013 as a 2014 PS3 and Vita title is now coming to PS4. Rainbow Skies was supposed to release on PS4 in 2016, still not out yet. Still coming though. So that's the gaming industry for you. We all pretty much know a PS5 is coming sometime in the next few years, by 2020 the latest, though I'm in the 2019 camp, others say 2018, and games are probably already in development for it somewhere. But even if games aren't in development for it yet, at some point games will slip to it and some games will get dual releases. I can almost guarantee we know of games today that will be there at the PS5 launch. And not just remasters in 4k, actual new, or dual release, games. Things happen. @starhops ""Why announce a game that is coming on a new console before that console is even exisits?"" Oops, I forgot the most obvious response to your comment. The Kara tech demo was shown 5 1/ 2 years ago in 2012, that's BEFORE the PS4 was announced in Feb 2013. So this game WAS announced before the console it will release on if it releases on the PS4. @rjejr Good points! But the Kara tech demo is not relevant since they even admitted it wasn't a game concept at the time. Showing game concepts/demos at shows is not really announcing games either. So, they announce a new Zelda game at E3 2014 and everyone goes "YAY!" but Nintendo didn't have but the Wii U out, so obviously it would be for some new Nintendo box. Sure, some games get pushed back, others get moved to the next console as the newer box gets closer. I think they are getting wiser on announcing releases since all the backlash the gaming community has given the publishers the past couple years. One good thing from No Man's Sky poor release, eh? I do believe it begins to hurt their sales, so they have been listening to us. At least that's my current hope... ha! And as for Sucker Punch... I have no idea what's going on there. Its been years. BUT! They haven't announced anything, so it's all conjecture. Maybe the term "announced" means different things to you and I.
I'm a fan of there games! I like that they are different to most. It's still crazy to me that no one is making games like Quantic Dream is making them. I can tell this is going to be a very special game, especially being released just a year after Blade Runner 2049.